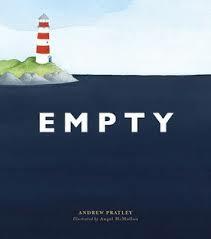 This is a touching story of hope, disappointment, and learning how to let go exquisitely illustrated by Helene Magisson. Magisson’s elegant drawings pulse with colour and form. Each page is a landscape of solid textures, interesting shapes and gentle movement. Mellow hues and generous white space allow the eyes to wonder and discover more detail, like tiny ants crawling along a bending reed. 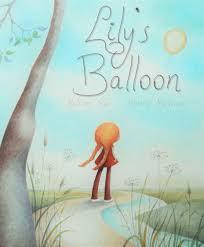 Lily’s balloon is a lovely marriage of imagery and words that demonstrates how lives and situations may be inextricably connected and suggests to children that they are not alone when it comes to facing life’s many disappointments. The kid in me still loves to be surprised and this book does just that. Hannah and her father are going camping. There is much planning and packing involved, even their Great Dane, Hugo is coming along. But when it comes to packing mum’s gigantic fluffy scarf, Hannah is adamant that she won’t need it, she is ‘bigger than yesterday’ after all. So, they set out without it, leaving Mum and baby Connor behind. They find the perfect spot, share marshmallows around the campfire and experience all the fun and fright of the great outdoors until it’s time for sleep. 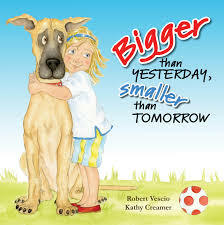 Hannah discovers that she is feeling ‘smaller than tomorrow’ because she is missing many of her familiar bedtime comforts. Dad tries his best but well…it’s just not the same without mum until Hannah remembers something that will help. This is a delightful heart-warming tale with a twist sweeter than a mugful of hot chocolate at the end. Kids’ around the planet will recognise the horrible prickly-missing-mum feeling very well while parents will sympathise with Dad’s determined attempts to help his little girl establish her sense of confidence. Creamer’s warm watercolour illustrations portray urban family life with great humour and care. Ideal to share with adventurous little pre-schoolers. Even small children can feel empty and forlorn. What is worse is their inability to understand why they are feeling the way they do. This is the case with the young girl in Empty. She lives in a remote lighthouse and is dismayed when no matter how hard she looks, finds nothing but more and more emptiness. She struggles with a lost sense of purpose and belonging that is something less precise than just loneliness. She consults her island companions for help but their answers are ambiguous and enigmatic. Her empty grows until one day, she meets a boy who also has an emptiness he does not know how to fill. At her request, he teaches the girl how to play beautiful music and soon their happy melodies make the ‘whales dance’ and ‘the fish stop and forget where they were’. Glorious light, colour and music fill their togetherness and their mutual emptiness. 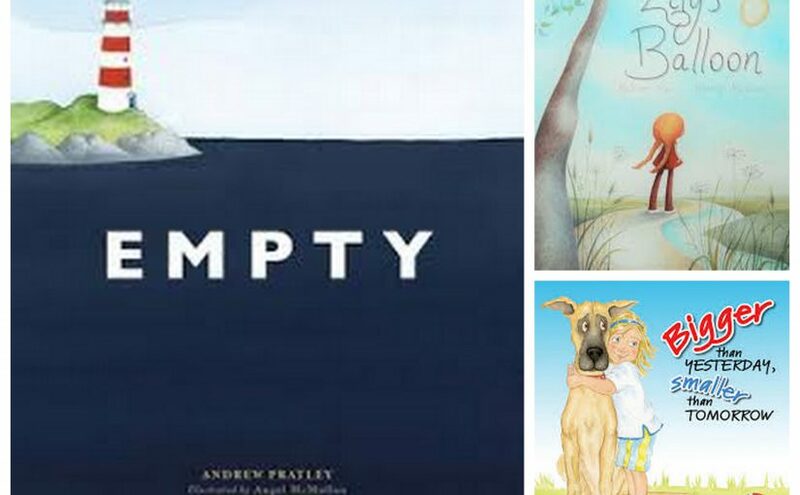 Empty is a masterfully written, superbly illustrated salute to friendship and the joy of giving without expectation of return. Pratley’s poetic prose eloquently captures all the aching loneliness the girl and boy experience before their chance encounter. McMullan’s drawings are breathtakingly simple and complete gradually carrying the reader from a state of stark nothingness to a world suffused with joy and movement. This is a gorgeous celebration of music, friendship, and the gift of selflessness, emphasising the importance of overcoming self-doubt. Highly recommended. Previous Previous post: YA Books About Shy Introverts!